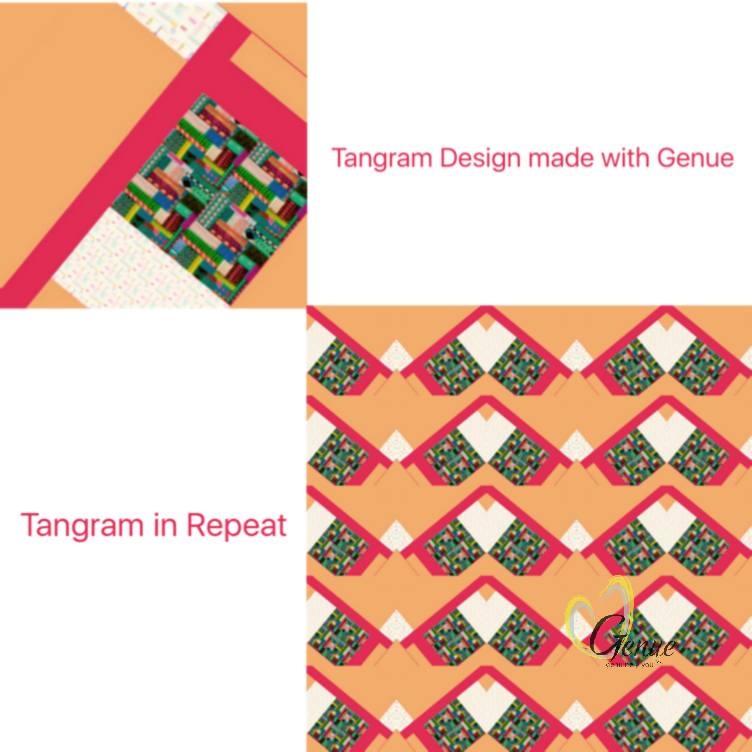 Inspiring Geometry: Tangrams & Mosaics - Genue Inc.Genue Inc. Sometimes the best sources of inspiration for pattern design can come from the places that are the most obvious. Lately, I have found myself so inspired by mosaics and tangrams- which of course, are patterns in and of themselves. However, they encompass a very specific type of pattern; one in which shapes fit perfectly together to create an image. The visual effect is so satisfying- the precision is so beautiful. Tangrams and mosaic-like arrangements of shapes have been trendy in pattern design as of late. For example, I have noticed triangular tangram-inspired designs popping up a lot lately. It’s no surprise- it creates a clean, minimalist look that is very popular right now. But of course, you don’t have to go that route. While tangram puzzles have this very sleek look, mosaics are essentially the same concept, but with a very different look. 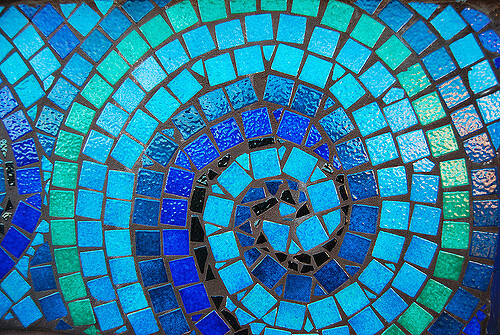 Mosaics often have rough edges, fitting together but in a much more organic way. Which aesthetic would work for you and your designs? If you like things neat and unfussy, perhaps you would prefer to draw inspiration from tangram puzzles. These ancient toys are just as beautiful today as they were long ago. If you’re unfamiliar, the puzzle consists of wooden geometric pieces cut in such a way that they fit together to create a simple composition. The final image is typically simple shapes in primary colors. Of course, you can definitely play with this. A design based on the classic wooden tangram would definitely be interesting, but how could you expand on it? For example, your color palette can be anything but primary. Perhaps it even includes a gradient or a metallic. You could also try adding some visual interest by throwing in a few curved edges instead of sticking to straight lines and sharp angles. Or get creative with the arrangement of your motifs and how they repeat. Try testing out a few ideas in Genue and see what you can come up with! If you prefer a more organic or complex feel to your designs but like the idea of shapes and elements that “fit” together, you might find mosaics particularly inspiring. It is like a puzzle elevated to an art! Of course, the best place to start design-wise would be to create your own mosaic. It doesn’t have to be made from precisely-cut glass set in stoneware. You can cut up construction paper and make a mosaic image from that. Or try collaging some found objects: beads, seashells, stickers, anything you want. You can also try out some drawing techniques that mimic the effect of mosaics- pointillism, for example. Instead of perfect dots, try painting broader, more organic strokes, or even shapes such as squares and triangles. Some thoughtful mark-making will give you an effect that resembles a mosaic, but is completely unique. 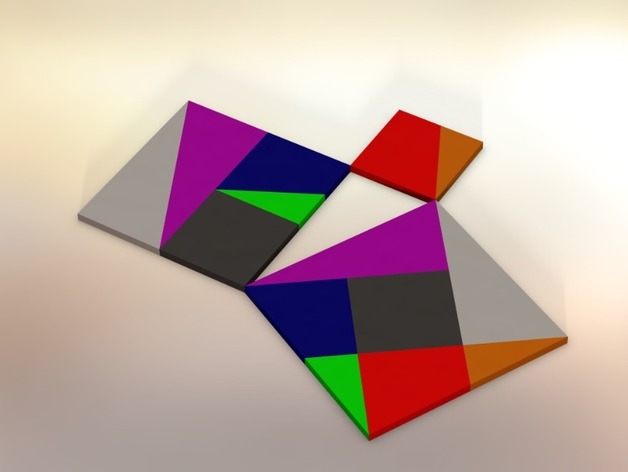 Have the geometric forms of tangram puzzles or mosaics inspired you? We’d love to see what you create. Happy designing!